Photographer Robyn Malcolm was hanging out near Eden, New South Wales, when she snapped the above photo. 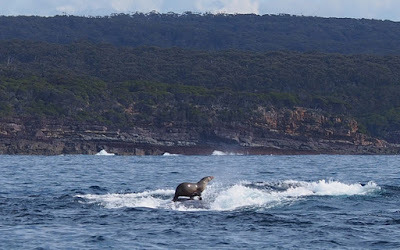 Not sure if you can tell, but it's a seal RIDING ON THE BACK of a whale. And it is having a whale of a time. Malcolm didn't even realize she took the picture until later in the day when she was looking through her photos. Apparently there was just too much animal action going on!